I love any type of food with the word velvet in it. Red velvet, blue velvet, pink velvet, and of course green velvet! 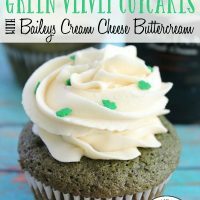 After all, green is my very favorite color and you add some Baileys cream cheese butter cream frosting? Forget about it! I’m sold! 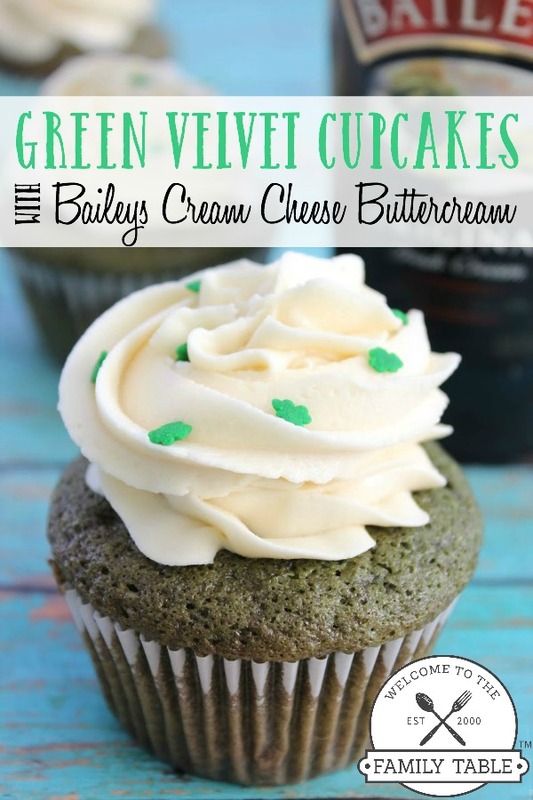 Today I am sharing with you a delicious recipe for green velvet cupcakes topped with a deliciously smooth Baileys cream cheese buttercream frosting. Yep, it’s a mouthful, but one you wont regret! 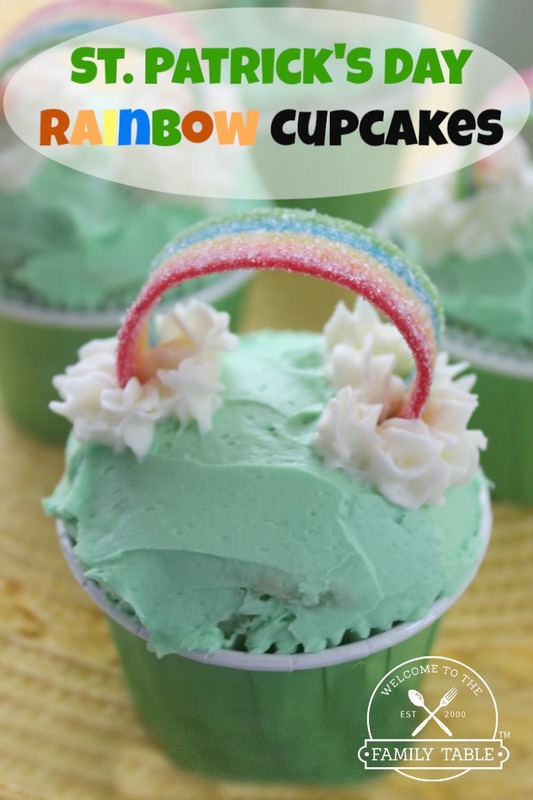 This yummy dessert is perfect for St. Patrick’s Day or any other day of the year. I LOVE cream cheese icing and wouldn’t mind trying it with the Baileys either. It’s a perfect St. Patrick’s Day snack!